Taking into account both the external and internal power equilibriums currently functioning in the Middle East, it may be asserted with considerable certainty that the disintegration of the existing states mentioned in this article and the emergence of a new equilibrium of power will be a protracted process. To a certain extent it may be said the Middle East is once again in the throes of the historical process that occurred in Europe following the Napoleonic Wars, but this time at an accelerated pace. The events in the Middle East may be the harbinger of similar processes that are liable to repeat themselves in all of thee places in which the borders of new states were not created naturally but were rather the product of caprices of various external forces. In a recent interview retired U.S. Air Force General Michael Hayden said that in principle he totally concurs with the forecast of Leon Panetta, former American Minister of Defense in President Obama’s Administration, that the battle against the Islamic State (ISIS) will resemble the Thirty Years War that ravaged Europe between 1618 – 1648. According to General Hayden, the establishment of a new equilibrium of power in the Middle East will take a full generation and more. 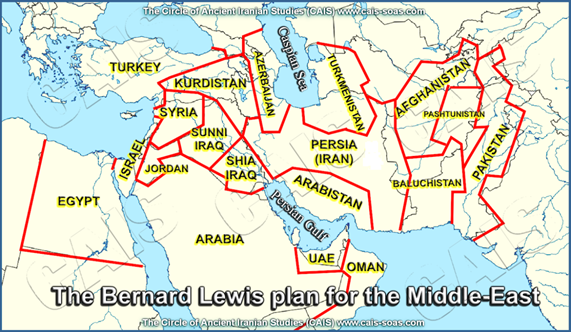 In view of this, any talk about the resolution of the Arab-Israel conflict b way of territorial concessions by the Jewish state being the key to solving the problems of the Middle East is absolutely disconnected from reality. Concessions of this kind not only endanger Israel’s protective capacity but also threaten its very existence. Israel should cautiously monitor and be on the alert with respect to the changes in the relations between the different forces that are reshaping the Middle East, and it should support those forces that can contribute to the creation of conditions that will ensure its security and prosperity in the generations to come.